The unique arm band holds large phones in bulky, shock resistant cases easily. It also corrals essential small items in a compact, hands-free design. 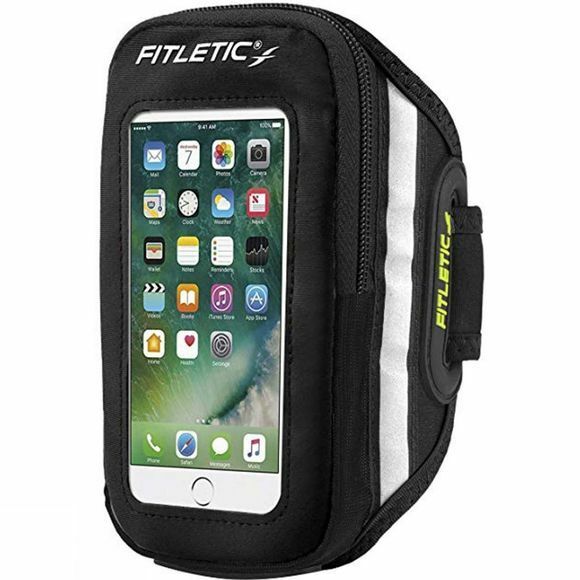 Designed for runners by runners, it’s also great for any activity where you want to be hands-off and hands-free. In the gym. On the race tracks. Playing a round of golf or a set of tennis. The Forte Arm Band is comfortable, rugged, and beautifully designed. Dual ear buds allow you to listen to your playlist in privacy. Water resistant Neoprene fabric protects items from sweat and light rain. An interior pocket secures your ID and cash and the exterior side pocket can hold small valuables like your keys or lip balm.